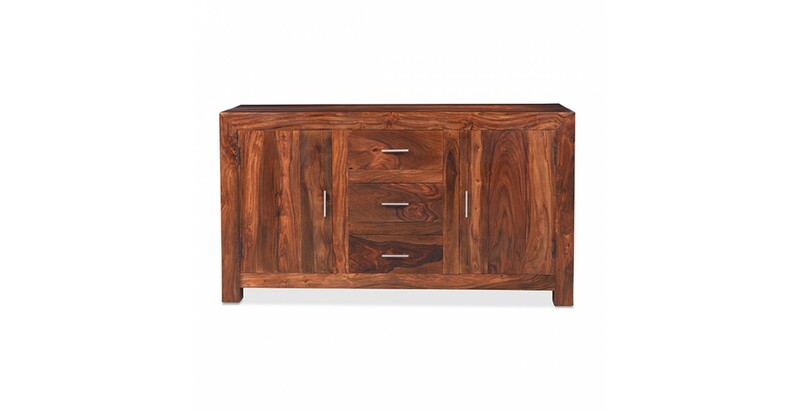 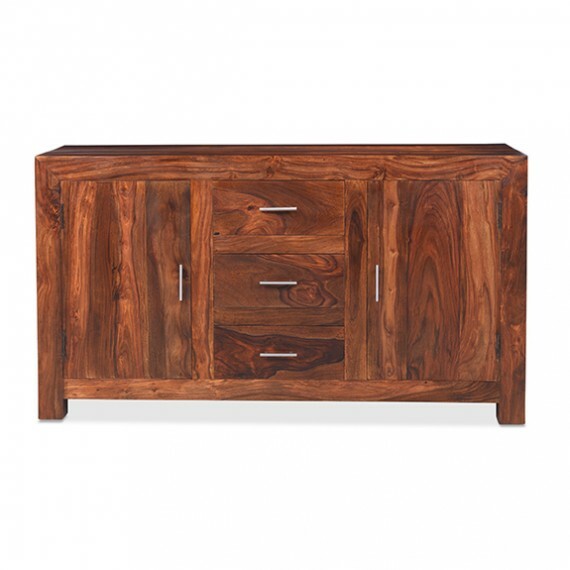 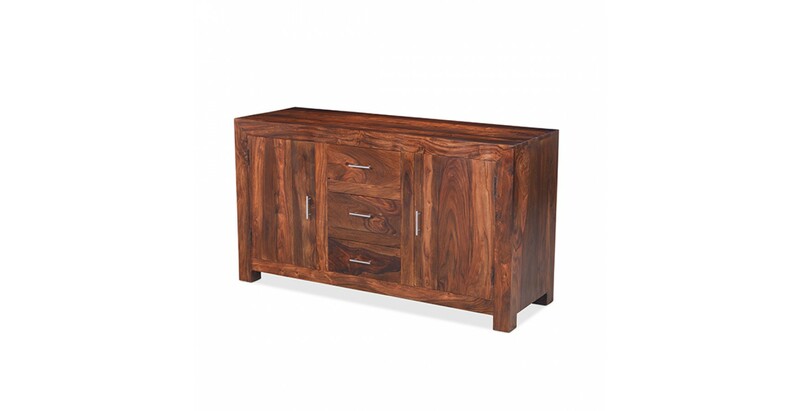 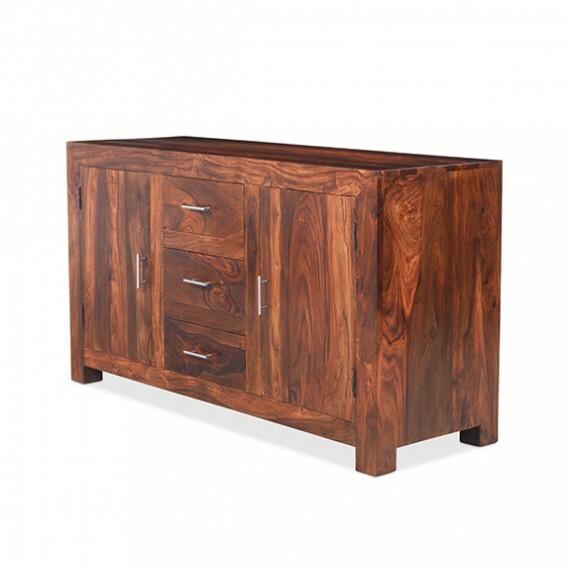 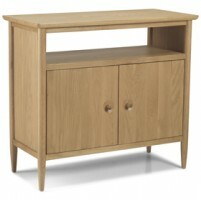 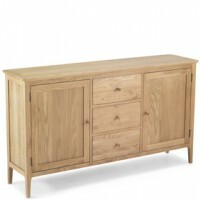 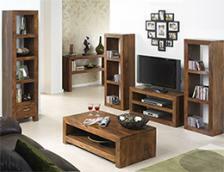 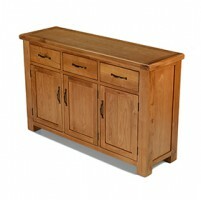 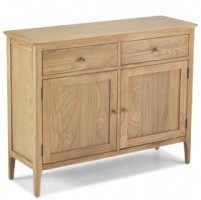 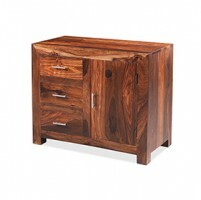 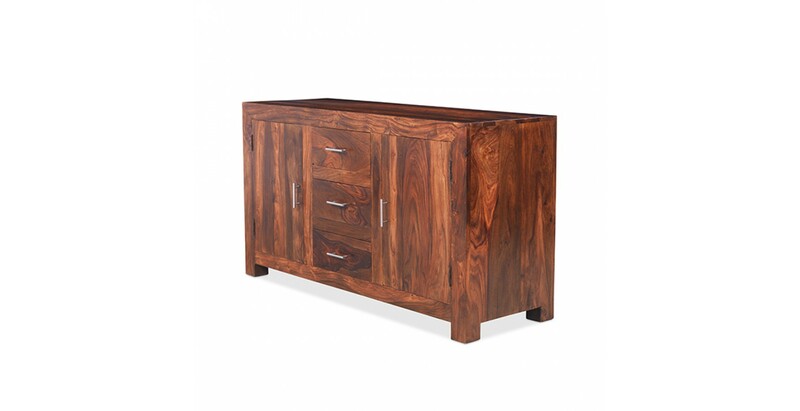 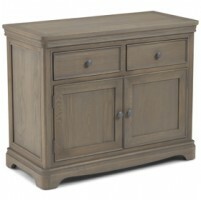 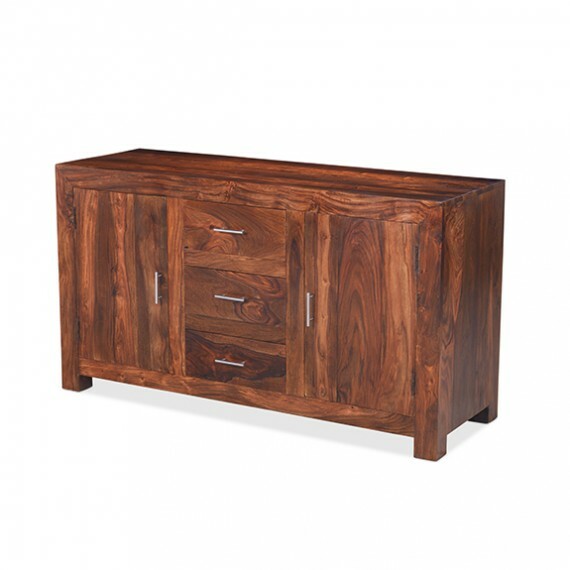 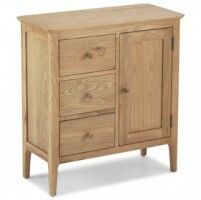 We think you'll appreciate this sophisticated modern take on the traditional sideboard. 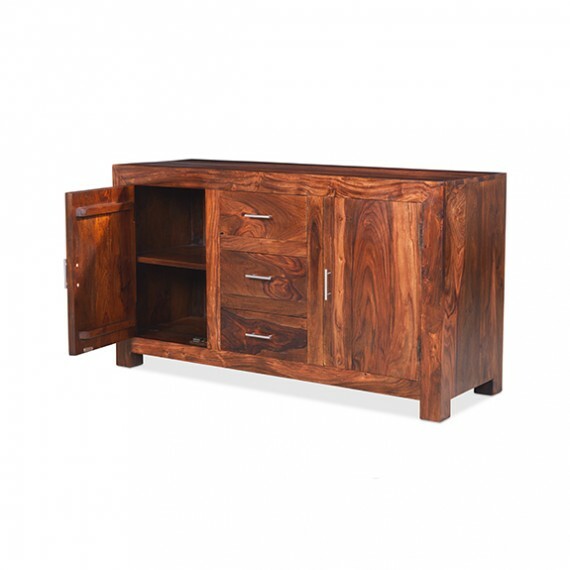 Sleek lines and sharp angles are softened by the unique grain patterns and rich, dark tones brought out to perfection by the natural lacquer finish. 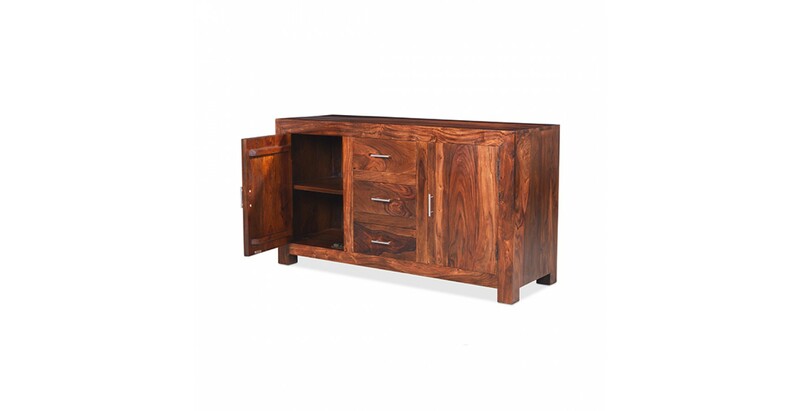 Brushed metal handles add contrast and we haven't even mentioned the ample storage yet. 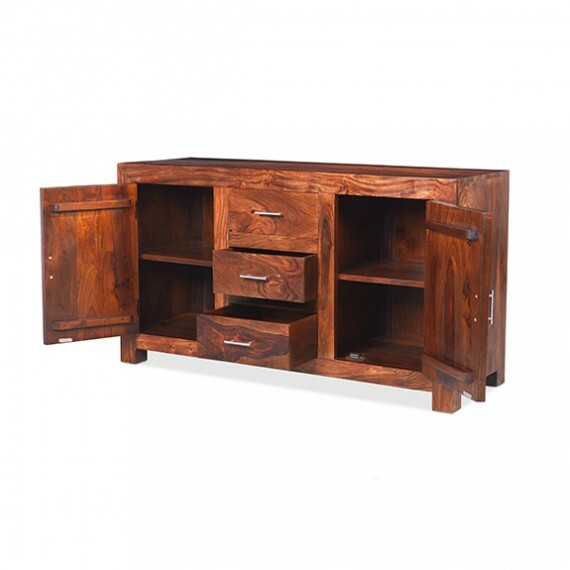 Two large cupboards, each with a shelf, and three roomy drawers will keep you super-organised in the living room, dining room or hallway.